Your opinion matters. Leave A Review Or Edit This Listing for Penfield Ecumenical Food Shelf. The Penfield Ecumenical Food Shelf was the creation of founders Joe Gersitz, Ted O'Brien and Kathy Cummins in April 1997. It began in the First Baptist Church of Penfield at 1862 Penfield Rd. From the very beginning, the philosophy was adopted to serve all who express a need for help with the only requirement being residency in Penfield. Food Pantry for perishable and non-perishable food items. 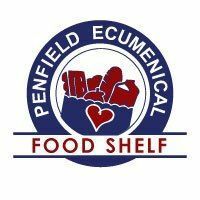 The Penfield Ecumenical Food Shelf is a non-denominational organization that provides emergency food assistance to needy Penfield residents residing in the 14526 and 14625 zip codes. Can you help? We are in continual need of carpentry, electrical and general home construction tasks. Please message us through this Facebook page if you can volunteer your services. We always need more information on our pantries. If you know of any details, volunteer information, website, hours or more description information about Penfield Ecumenical Food Shelf please add a comment (below the map on this page), with information. We will then display this for all visitors on this page.